You deserve a property that looks beautiful from every angle. Whether you're building a new office for your business or remodeling your home, you deserve the highest quality products and services to make sure that your project is a success. Mancino Door & Window, Inc. offers services to contractors, architects, and home owners to help you make smart decisions that fit your project's specific needs. From sales and installation to delivery and service, their professionals will help you every step of the way. Proudly serving the greater Azusa area including Glendora, Irwindale, Duarte, Monrovia, El Monte, West Covina and San Dimas. 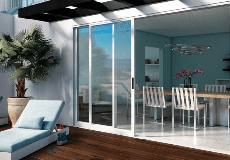 MANCINO DOORS AND WINDOWS, INC is rated 5.0 out of 5 by 5. Rated 5 out of 5 by MF626 from Great dealer We were thrilled with the service we received at Mancino Doors & Windows. The sales people and installers were wonderful and they had great pricing. Rated 5 out of 5 by Jlynn22 from This dealer was great from start to finish! I didn't know the first thing about buying windows, I had been told I wanted Milgard, that's all I knew. Rory was my first contact and he was very helpful and patient. Kelly came to my house to get measurements and had great ideas and suggestions which I liked a lot. The day of installation everyone arrived on time and they were friendly and very professional, worked very hard for 2 days to finish the job. Kelly came both days to check things out. I am so pleased with Mancino's, I will recommend them in a heart beat. I couldn't be more pleased with my windows and with this company. Rated 5 out of 5 by Houdini from Mancino Windows & Doors was outstanding in every regard Ordering our Milgard Windows from Mancino Windows & Doors was a wonderful experience. Rory Baker was courteous and explained everything to our satisfaction. The windows arrived on time and their professional crew installed all 15 windows in a single day . Their price was very competitive. We would recommend them highly and be happy to use them again for other services should the need arise. Rated 5 out of 5 by Beverly32 from very professional We are very happy with our windows, the dealer and installers.